This oatmeal is something I’ve been making since my daughter first started eating solid foods. (I’ve started adding nuts since then). 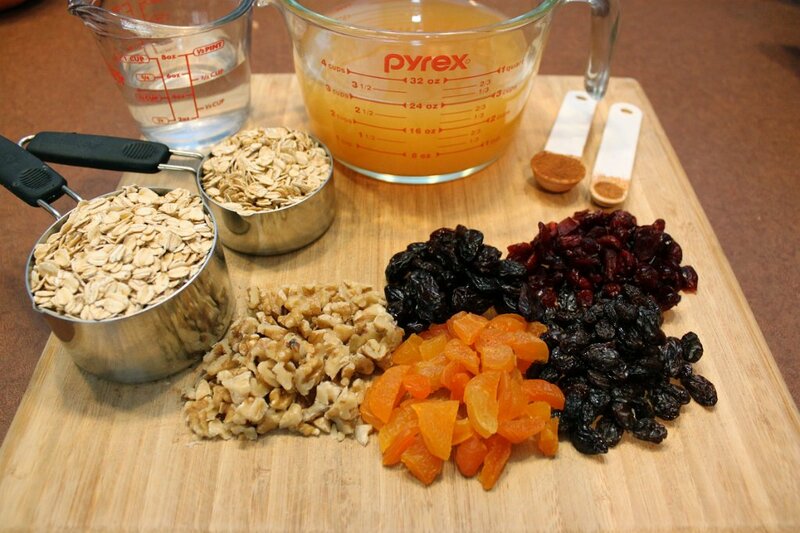 Its so easy and the fruits and nuts can be swapped out for whatever you like and/or have on-hand. I love using the apple cider around this time of year but I’ve also used apple juice in the off-season. The sweetness from the cider is the only sugar you need for this oatmeal. It’s awesome as leftovers as well, so make a big batch and warm it up as needed! Its really yummy either way! 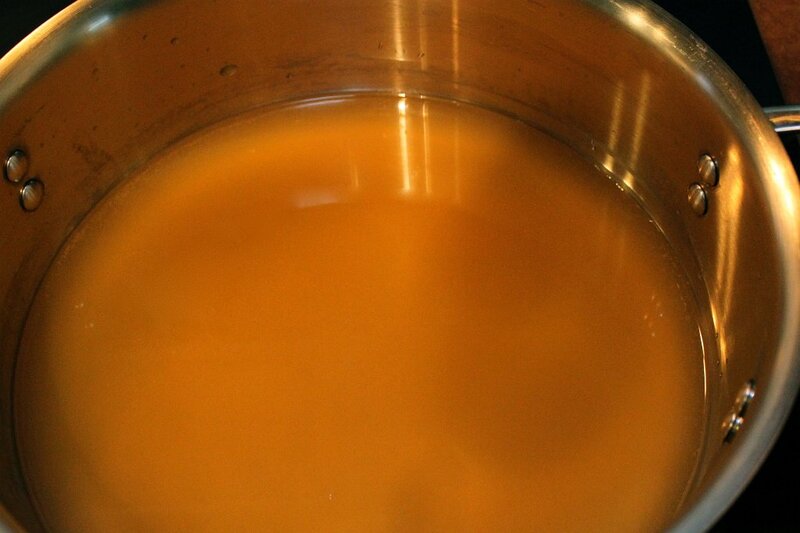 Combine apple cider and water in saucepan over medium low heat and bring to a simmer. 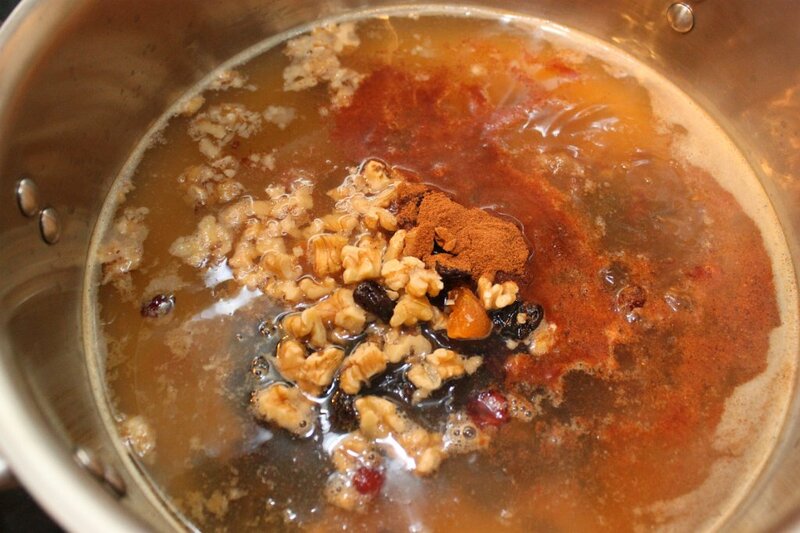 Add fruits, nuts and spices. 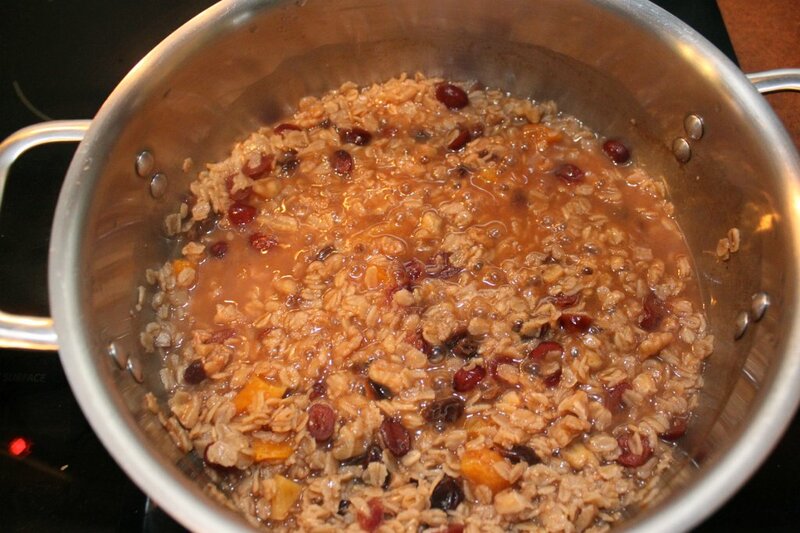 Mix together and bring back to simmering; this should take 1-2 minutes. 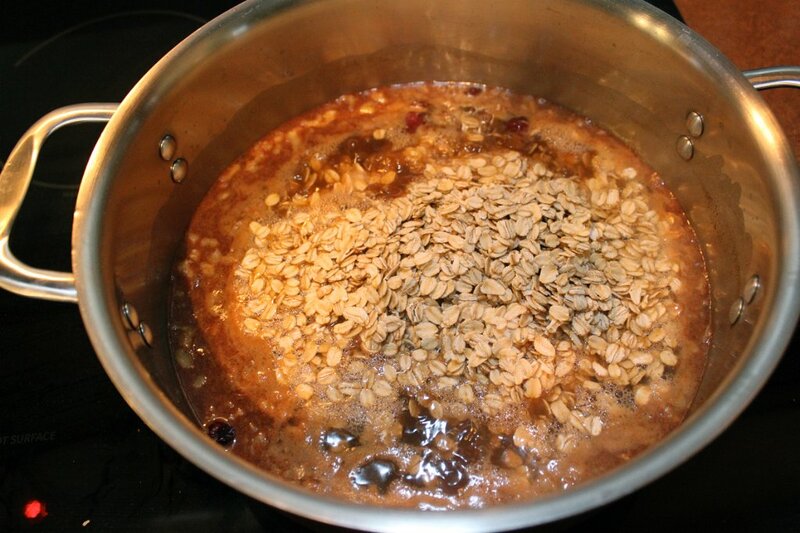 Add rolled oats and stir to incorporate. Cover and turn heat to low. Cook for 8 minutes, stirring once or twice. Remove from heat and uncover to cool. Oatmeal should firm a bit more. This recipe is really easy to reheat on a busy morning. It will be really firm coming out of the refrigerator. I like to warm it up in the microwave and then thin with a little milk and some extra walnuts on top. I’ve also made this oatmeal in my rice cooker. 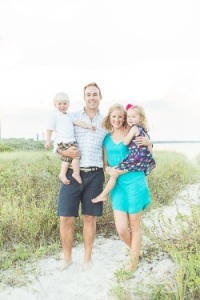 It doesn’t get much easier than this! Pour all ingredients into rice cooker. Turn on. Stir. Rice cooker will switch off when ready. Mine takes about 15-18 minutes. Let cool. 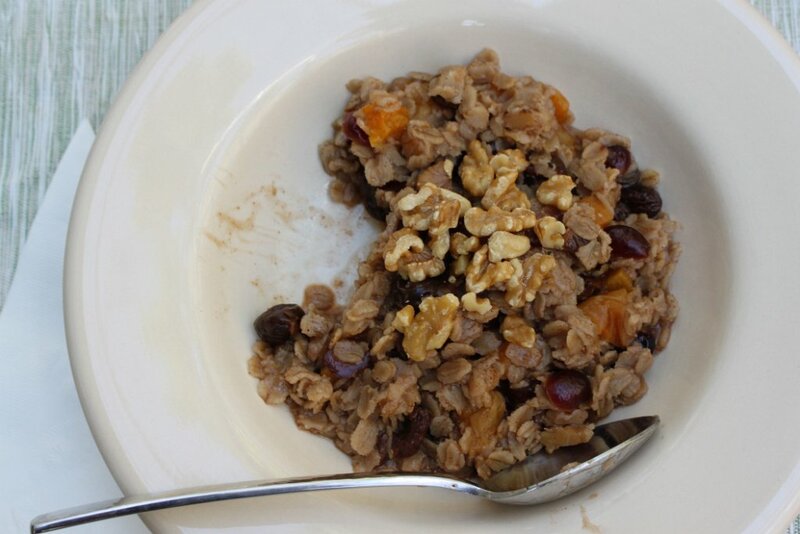 Cider oatmeal is a sweet meal that includes dried fruits and walnuts in delicious spiced oats. Please let me know what you thought of the Cider Oatmeal! I would love to hear for you!